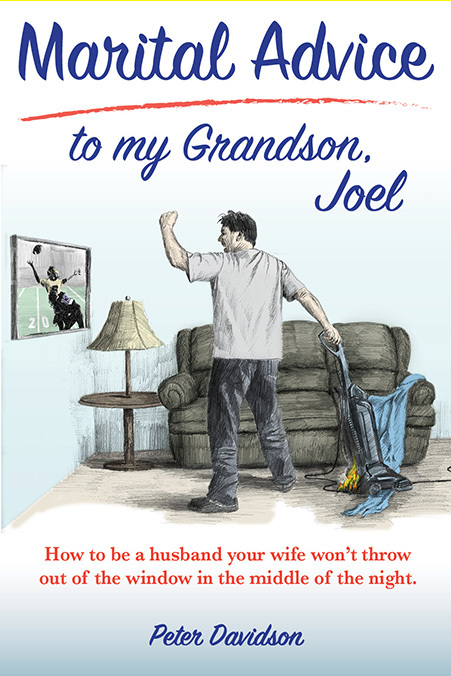 As you may be aware, when my grandson, Joel, got engaged I decided to jot down a few words of marital advice for him, just for fun. Then I thought, why share this wisdom with only one person when I can share it with the whole world. So, I started this blog about eleven months ago, listing marital advice every week. 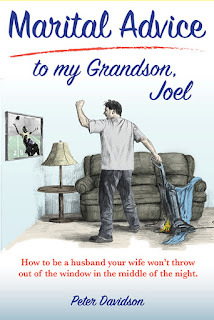 In January of this year, the material from the blog, plus additional information, was published as the book, Marital Advice to my Grandson, Joel. Well, I ran the blog far longer than I intended and said about all I have to say, so this will be my final posting. To those who have read the blog from time to time, or regularly, thank you. To those of you who purchased a copy of the book, I hope you enjoyed it. The blog will remain on the web for another couple of weeks before it disappears. Here are a few parting thoughts about marital life. Farewell. she finds the man of her dreams. to the first woman who will have him. married life that forms a special bond between the couple. That's how special she thinks you are. Make it your life's mission to prove her right.